How to get "Chatting Visitor" window back? Quote Reply Topic: How to get "Chatting Visitor" window back? I've shut this box down by accident and unable to open it back up. I've a previous post about this that mentioned active chat line, but can't see that either. where do i click to find this? and bring it back up? 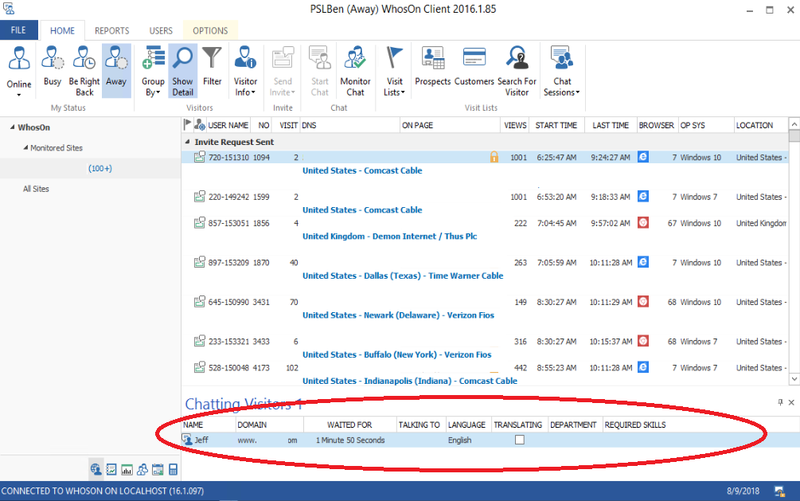 Within the WhosOn 2016 Classic client the Chatting Visitor line is circled in red below. Simply double click on the visitor who has initiated a chat and it will open/re-open the chat window. If there is no entries in this area then there are no active chats.